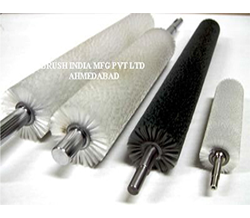 Since many years Brush India’s Brush Roller for Glass Washing Machine have been supplied with success into the Glass industry to clean the Surface of the Glass and remove the dust from it. 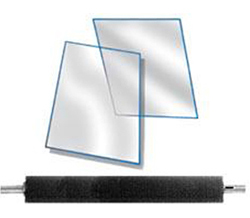 The surface quality is especially important for the Glass. Therefore the Brush Roller For Glass Washing Machine Effectively Clean the Glass and create good Surface finishing on it. 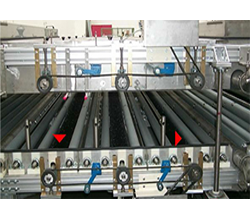 The Brush is manufactured as per Customer Drawings and Specification due to various OEM Machine Specification The Brush Roller for the Glass Cleaning Machine is manufactured using high Quality Nylon Monofilament and Shaft journal is manufactured from Stainless Steel 304 Grade. The Brush Roller tube Core and Journal Bearing assemblies’ manufacture of Stainless Steel. Heavy Construction of Brush Roller for, Vibration Free operation. The Brush Roller is dynamically Balance for High R.P.M. © Copyrights 2016 BRUSH INDIA MFG. PVT. LTD.